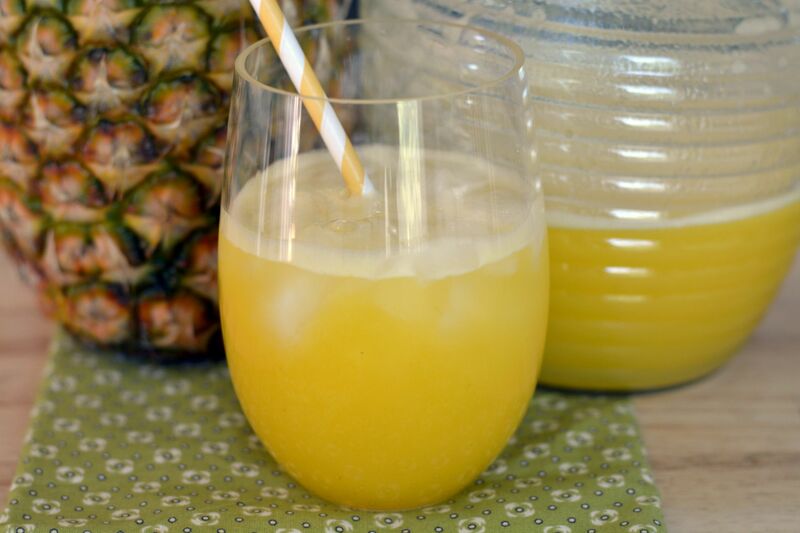 Pineapple juice is one of those things that I truly enjoy drinking during the summer because it goes so well with most meals. I always have pineapples at home and use them almost everyday to make the green smoothies I have for breakfast in the mornings. 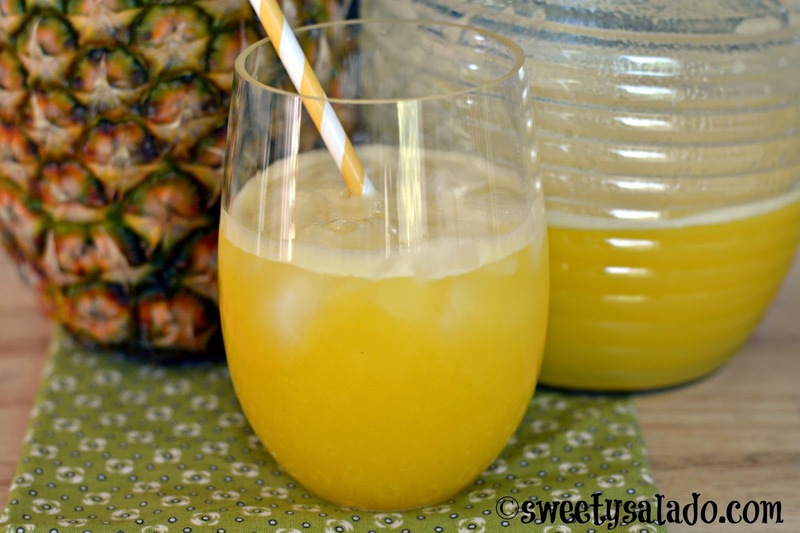 But every now and then I will use those pineapple chunks to make this delicious pineapple juice. The reason I like it so much is because of the high water content of the pineapple, the more watery the fruit, the more I like it. I always start with ¼ cup of sugar, depending on how sweet the pineapple is, so feel free to add more if you want yours to be on the super sweet side. Blend the pineapple chunks with the water and white sugar until they're well blended. You can do this in batches if your blender is not big enough. Pour the juice into a jar using a strainer to remove the pineapple fiber. This step is optional. 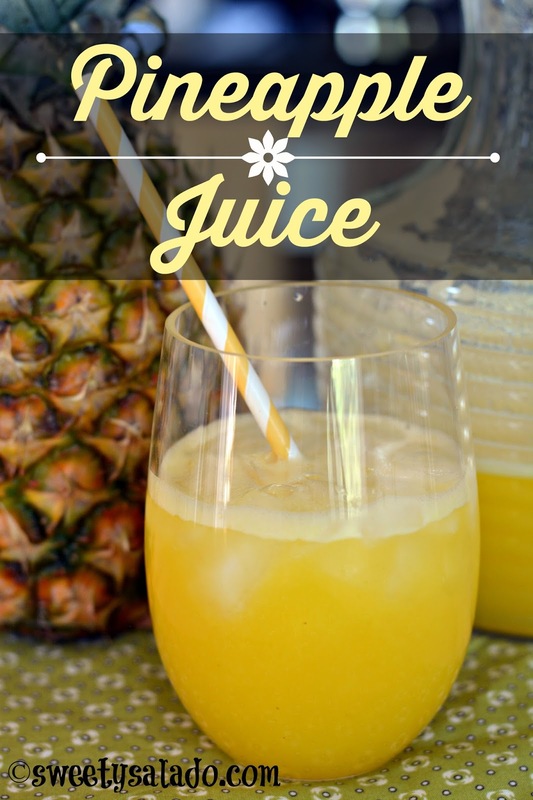 Store the juice in the refrigerator por 1-2 hours before serving or serve it over ice.